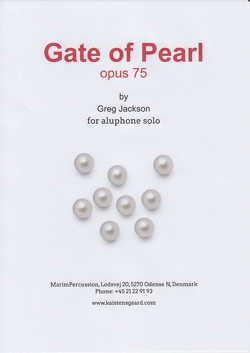 Gate of Pearl for Aluphone (Glennie Concert) by G.J.Jackson. Free version!! 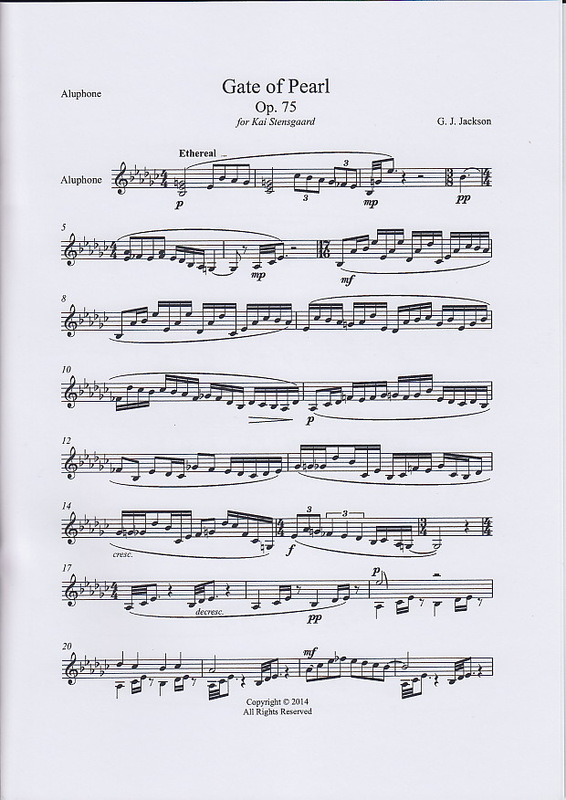 Gate of Pearl for Aluphone (Glennie Concert) by G.J.Jackson. 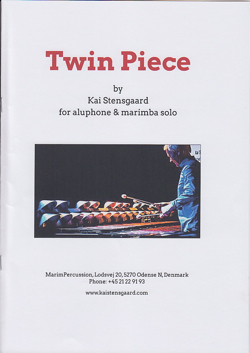 great solo piece written for Aluphone. Percussion professor Dr. Greg Jackson, Alabama State University, an active performer, clinician and educator across the nation, also is the author of two other books, The Synergy Method for Drumming and Phenom: The Excellence of Execution. 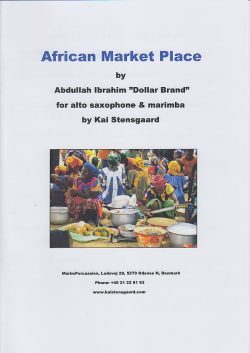 He has a solo marimba CD (“Darkest Hour”) and a percussion instructional DVD (“Elements of Synergy”). 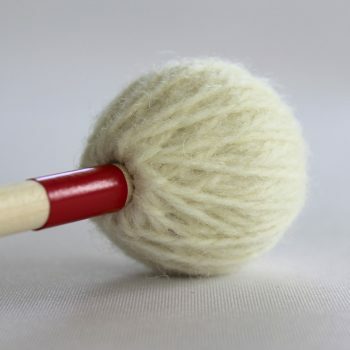 He received his Bachelor of Science degree in music composition/theory from Austin Peay State University, the Master of Music degree in music theory/composition from The University of Alabama, and the Doctor of Musical Arts degree in percussion performance from the University of Alabama. During his residence at the University of Alabama, Jackson was a percussion assistant for the Million Dollar Band drum line under the direction of Neal Flum in 2000, 2002 and 2005. Jackson now plays congas and percussion with the bands Basic Element and Low Voltage.